The degree of in-country inequality depends on how it is measured. For example, is inequality measured before or after taxes and transfers? If we have a progressive taxation system, so that high-income earners pay a higher marginal tax rate, and a social welfare system that transfers income to poorer households, then we would expect income inequality to be higher before taxes and transfers than after those taxes and transfers are taken into account. Is inequality ‘persistent’ or do those who are relatively poor today become better-off tomorrow? There is a lot of difference between a poor medical student and a single mother with only a high school education and two young children. They may have the same income but, for the medical student, poverty is likely to be transitory. In contrast, for the single mother, poverty may be a long-term problem. Does inequality reflect changing social patterns? In the 1960s and 1970s, the poor were often the elderly. Today, the poor are often single parent households. The changing nature of inequality can be driven by political, social and economic factors. Should we care? After all, if all groups in society – both the rich and the poor – are becoming ‘better off’, should we be concerned if one group is becoming relatively better off compared to another group? This is the ‘rising tide lifts all boats’ view. It is relevant to Australia where there has been long-term economic growth. However, in some other countries, such as the USA, it has been argued that low-income households have been stagnant or even going backwards in real terms. China’s GDP per head (measured in PPP or ‘purchasing power parity’ terms to allow for differences in the price of non-traded goods) is about $US 10,000 per year. This might not sound like much to an Australian, but in terms of the world, it is moving China from a developing country to a mid-range income country. India’s GDP per head (in PPP-terms) is about half that of China’s. But again, this is a long way from three decades ago when India was largely a closed, impoverished economy. Don’t get me wrong. 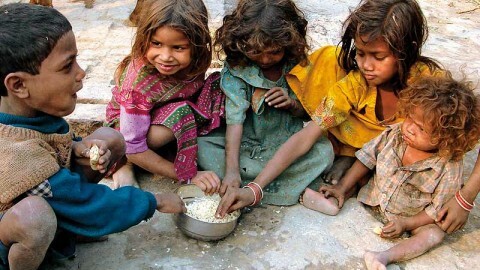 Grinding poverty is still common in China, India and many other countries. But while the rich world is worrying about rising in-country inequality, the real story is the fall in global inequality. The world’s poor are getting richer and that is a very good thing. So the inequality debate is faced with a conundrum. On the negative side, there has been growing in-country inequality. On the positive side, there is falling global inequality. The former may be a problem but the latter should be celebrated. 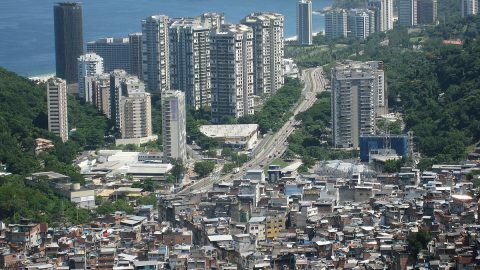 Could the fall in global inequality and the rise in within-country inequality be linked? The factor-price equilisation theorem postulates that trade in goods and services between countries will tend to result in the prices of inputs, such as labour, between the two countries coming closer together. Put another way, trade in goods and services can substitute for trade in factors of production. The growth of manufacturing jobs in China means that cheap imports substitute for domestic manufacturing jobs in rich countries. The same trade that is lifting millions out of poverty in developing countries may be depressing the incomes of the least skilled in developed countries. If this is the case then, in my opinion, the worst thing we can do is to limit trade. Helping the world’s poorest people should be the top economic priority. We help them by buying what they sell. And the developed world also gains from this trade, through more affordable clothes, electronics, and other imported goods. But if these gains are being inequitably transferred within developed countries then we need policies to share the benefits. In summary, the current debate about in-country inequality is less than half the story. The big news is the benefits that have been flowing to the world’s poorest people and are reflected decreasing global income inequality. We need to protect and help the poor in Australia, but we should also be celebrating the economic progress that has improved the lives of hundreds of millions of the world’s poorest people in the last two decades.